Del Mar Races: Thoroughbred horse racing since 1937. Comic-Con: The largest comic book and pop culture convention in the world. 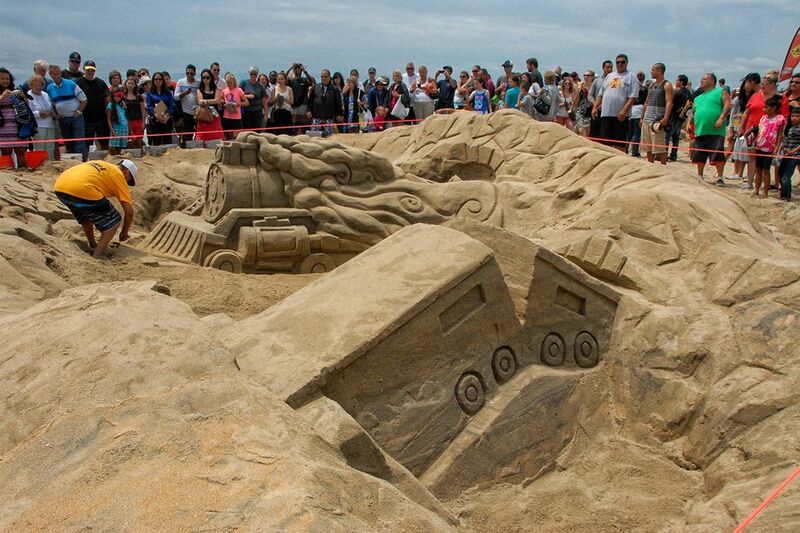 Imperial Beach Sun and Sea Festival: After a brief hiatus, the sand castle competition returned to Imperial Beach in 2014, with even more activities. Humphreys by the Bay Concerts: A fun outdoor summer concert series held on Shelter Island from April through mid-October. Old Globe Theatre: Late May through late September, they stage outdoor Shakespeare productions in a reproduction of his original Globe Theatre. San Diego LGBT Pride: A festival and parade whose aim is "fostering pride in and respect for all lesbian, gay, bisexual and transgender communities." July is a good month to check out some of San Diego's best beaches. June through October is the tuna sportfishing season. On Saturdays in July and August, the San Diego Zoo offers special overnight campouts at the zoo. Most are geared toward families, but one weekend is an all-adult version. June Gloom can persist into the first few weeks of July. Evening fog comes in suddenly and can feel especially cold. ​To find out more about and what causes June Gloom check out this guide. Pack a mid-weight jacket, especially for evening near the water. Bring short-sleeved shirts and lightweight pants, with a sweater for layering and shorts for the warmest days. Hotel occupancy reaches the highest levels of the year in July. To avoid sellouts and high rates, reserve as far ahead as you can, making sure that there are no cancellation penalties if you change your mind. Avoid the week of Comic-Con if you can. So many people flock to the world's largest pop culture convention that hotel rates skyrocket while vacancies plummet.